Provides rules and procedures for federal inmates applying for DNA testing. 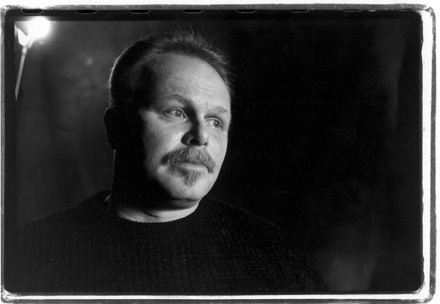 Creates the Kirk Bloodsworth Post-Conviction DNA Testing Grant Program and authorizes $25 million over five years to help states pay the cost of post-conviction DNA testing (Kirk Bloodsworth was the first death row inmate to be exonerated by DNA testing). Authorizes grants to states for capital prosecution and capital defense improvement that can be used to train, oversee, and improve the quality of death penalty trials, as well as assist families of murder victims. Subtitle C – Compensation for the wrongfully convicted. The applicant must provide a current DNA sample for purposes of comparison with existing evidence. The applicant has 5 years after enactment of this provision or 3 years after conviction, whichever comes later, to apply for DNA testing. After that time, an inmate’s application for testing will not be considered unless he or she can show a good reason for failing to apply earlier. The court may appoint counsel for an indigent applicant. In capital cases, testing must be completed within 60 days after the government responds to the application. Not later than 120 days after testing is complete, the court shall act, depending on the results. In cases in which the results are inconclusive, the court may deny relief or order further testing. In cases in which the testing has “inculpatory results” (e. g., testing shows the applicant was a source of the DNA), the court may consider whether the assertion of innocence was false, and hold the applicant in contempt. If the applicant is convicted for false assertions made while applying for DNA testing, he or she will be sentenced to three years imprisonment. If the DNA results exclude the applicant as a source of the DNA evidence, the applicant may file a motion for a new trial, which shall be granted when the test results, considered with all other evidence in the case, establish by compelling evidence that a new trial would result in an acquittal. Further, the applicant may file a motion for a new sentencing hearing if evidence of an offense was admitted during a federal death sentencing hearing and exoneration of that offense would entitle the applicant to a reduced sentence or new sentencing proceeding. If a defendant is imprisoned for the offense, this subtitle also prohibits the government from destroying biological evidence that was secured in the investigation or prosecution of a federal offense unless the defendant did not file a motion for testing after being notified that the evidence may be destroyed, a court denied a motion for testing, or the evidence has already been tested and showed the defendant as a source of the DNA. Further, it establishes the Kirk Bloodsworth Post-Conviction DNA Testing Grant Program that authorizes $5 million a year in grants through 2009 to help states pay for post-conviction DNA testing. Annual funds appropriated under the Kirk Bloodsworth Grant Program and other DNA testing provisions of the act will be held in reserve for distribution to eligible states and entities to defray costs associated with considering claims of innocence. For example, states that adopt reasonable procedures for DNA testing and the preservation of DNA evidence, in a manner comparable to the federal procedures outlined above, are eligible for such grants. This provision authorizes a grant program, to be administered by the United States Attorney General, to improve the quality of prosecution and defense representation in capital cases. The grants may not be used to pay for lawyers in specific cases, but instead are to be used to establish, implement, or improve an effective system for providing competent legal representation to indigents charged with capital offenses or sentenced to death and seeking appellate review in state court. a system in which a trial judge appoints qualified attorneys from a roster maintained by a state or regional selection committee pursuant to a state statutory procedure existing before enactment of this Act. ensure funding of competent legal representation by the defense team and outside experts. provide support and assistance to the families of murder victims. A state desiring a grant must submit an application to the United States Attorney General describing the existing capital defender services and capital prosecution programs. The application must set out a long-term statewide strategy with a detailed implementation plan. The strategy must reflect consultation with the judiciary, the organized bar, and state and local prosecutor and defender organizations and must establish as a priority an improvement in the quality of trial-level representation in capital cases. For the Capital Representation Grants, $75 million a year is authorized for five years, and states receiving funds must allocate them equally between prosecution and defense, submit reports to the Attorney General, and be evaluated for compliance with the terms and conditions of the grant. This provision increases the maximum amount of money that the United States may be required to pay in federal cases of unjust imprisonment from a flat $5,000 to $50,000 per year of imprisonment in a non-capital case, and $100,000 per year of incarceration in capital cases. This subtitle also sets forth the “Sense of Congress Regarding Compensation in State Death Penalty Cases”: that states should provide reasonable compensation to any person found to have been unjustly convicted and sentenced to death. However, it does not require states to do so. Enacts the DNA Sexual Assault Justice Act, authorizing more than $500 million for programs to improve the capacity of crime labs to conduct DNA analysis, reduce non-DNA backlogs, train examiners, support sexual assault forensic examiner programs, and promote the use of DNA to identify missing persons.